Also the coordination of the Centre for Research in Advanced Computing Systems (CRACS) will be renewed, following the nomination of Fernando Silva as Vice-Rector in the new rectory of U.Porto. 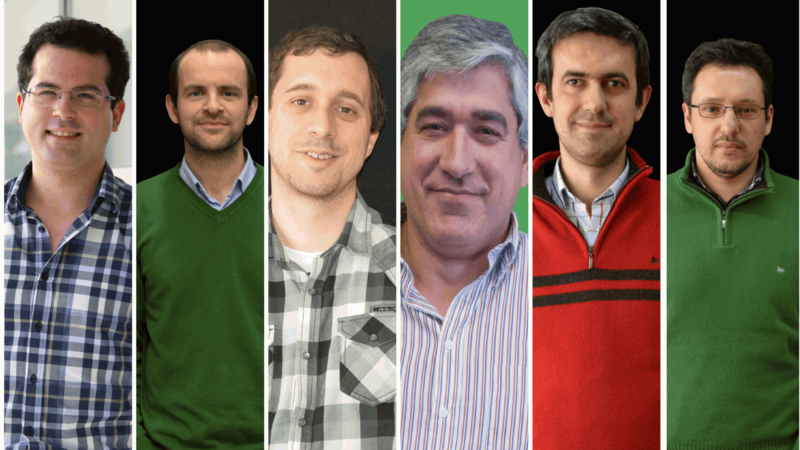 With the transition of Luís Seca to the Board, CPES maintains Manuel Matos as the Coordinator and has now Ricardo Bessa as the Assistant Coordinator and Jorge Pereira as the Assistant to the Coordinator. In the coordination of CTM, Jaime Cardoso replaces Manuel Ricardo, who is now member of the Board, and he will be supported by Filipe Ribeiro as the Assistant Coordinator of the Centre. CRACS has now Luís Antunes in the coordination of the Centre and Ricardo Rocha as the Assistant Coordinator. The new coordination will assume their positions starting on the 1st of July. Check HERE for information on the New Associative Bodies of INESC TEC. The researchers mentioned in this news piece are associated with UP-FCUP, UP-FEUP and INESC TEC.